ADME/Tox needs to be better understood by strategic decision makers. Risks involved and end use applications should be major areas of research going further. HYDERABAD, TELANGANA, INDIA, November 7, 2018 /EINPresswire.com/ — Global ADME/TOX market is mainly driven by the efforts of pharmaceutical and biotech companies for reducing time and cost of drug discovery. ADME/Tox profiling of a drug candidate plays a key role in reducing clinical trials cost and time of drug launch to the market. ADME/Tox assays eliminate compounds with lack of bioavailability, lower efficacy and toxicity in early stages, in order to save time and costs in expensive later stages of drug discovery. This ADME/Tox Market research report gives an insight into products and services used in the ADME/Tox industry. Predictive technologies analyzed include In vivo, In vitro, and In silico. Related technologies such as High Throughput Screening (HTS), Laboratory Information Management System (LIMS), and cell based assays are also analyzed. Market projections and estimates are illustrated by region and by technology. The report serves as a guide to ADME/Tox industry, covering more than 350 companies that are engaged in ADME/Tox Market size/screening, products and services. Major Contract Research Organizations, Research Institutes and Universities serving the ADME/Tox industry are also covered in the corporate directory section of this report. Information related to recent product releases, product developments, partnerships, collaborations, and mergers and acquisitions is covered in the report. Compilation of Worldwide Patents related to ADME/Tox Technologies is also provided. A global perspective is presented along with regional analysis covering the regions of North America, Europe, Asia-Pacific, Latin America, the Middle East and Africa with 93 exclusive graphically represented exhibits. Key trends analyzed include ADME/TOX market growth, ADME Tox market potential, market shares, market size, and other market critical factors. This ADME/Tox market research provides historical, current, and market forecasts. The current study is quite useful in choosing the right technology at the right time to conduct ADME/Tox screening of a drug candidate, to save time and money in the process of obtaining regulatory approval. ADME/Tox is a science that needs to be better understood by strategic decision makers. The risks involved and the end use applications should be major areas of research going further. ADME/Tox is considered a major hurdle in drug discovery today. Companies that produce state-of- art tools and focus on complete solutions will be clear winners. Automation is the way to go with emphasis on lower costs. Clearly, animal models cannot be totally overruled owing to the traditional concerns, and also the comfort level involved since they provide the closest biological environment to human systems. New technologies in ADME/Tox have evolved from diverse scientific disciplines. The toughest challenge is to integrate several successful features and enable pharmaceutical companies to benefit and reap profits in the future. Though some of the concepts in this industry are still in infant stages, the data generated from other relevant sources can be used to close the gaps. Pharmaceutical companies realize the potential of ADME/Tox technologies and are trying more than before to incorporate innovative procedures to reduce drug attrition rates and lessen the burden of costs and save precious time. Strategic partnerships between pharmaceutical and biotechnology companies are the order of the day, and the trend is increasing globally. Another significant trend is the alliance between Pharma and Biotech companies and information technology companies such as Microsoft, IBM, Oracle, Sun, and Infosys, etc. The computer platforms generated by such companies help managing and analyzing the huge amounts of data produced from ADME/Tox technologies such as High Throughput Screening (HTS) and other computational techniques. 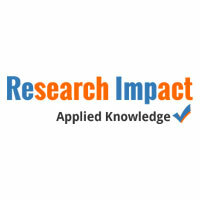 Effective R&D strategy involves efficient data management and implementation plans. The new technologies promise improved efficacy, decreased toxicity in patients, and reduced time frames and expenditures.